T.E. Vending is independently owned and operated in Limassol, Cyprus providing quick and efficient personal service to our clients. Our vending machines can be found in schools, institutes, offices, fitness centres and supermarkets. We service all of Cyprus including Paphos, Nicosia, Larnaca and Agia Napa. 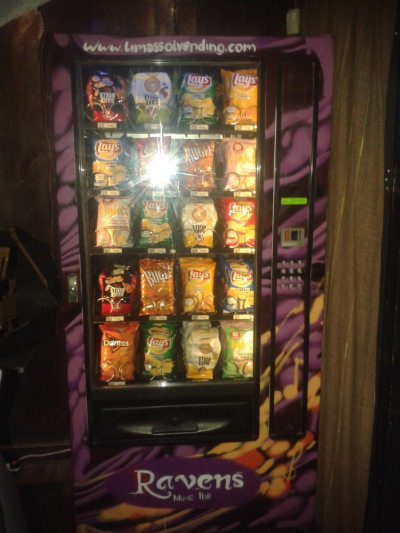 Vending machines are installed free of charge and restocked on a regular basis. T.E. Vending provides quality brand name selections and offers flexibility in product selection based on client preferences. Installing a vending machine at your premises provides convenience to your employees, and an added value to your customers. We offer a variety of vending programs to suit the needs of your company including the sale of vending machines. Our cold snacks and drinks machines can incorporate any products sized between a bag of chips to a pack of gum. T.E. Vending has now launched our new machine customization service. We are able to personalize the appearance of your machine to suit the image of your business by adding specific colours, logos and imagery. We can also modify machines to vend specialized products.